As I transition from school into the working world, more and more people have been asking me "what do you do?" or "what sort of work are you pursuing? ", at which point I attempt my explanation of design as a general topic and a lens through which we view our world. The eyes are certainly glazing over by the third or fourth sentence out of my mouth, which has led me to think of new ways to explain the importance of design to someone who may not understand its wide reaches. Yesterday, I was record shopping with a friend in Rotate This on Queen, and he pointed out all of the band logos on the concert posters that graffiti the walls of the store. Some genres, especially metal, can be identified with a quick glance. 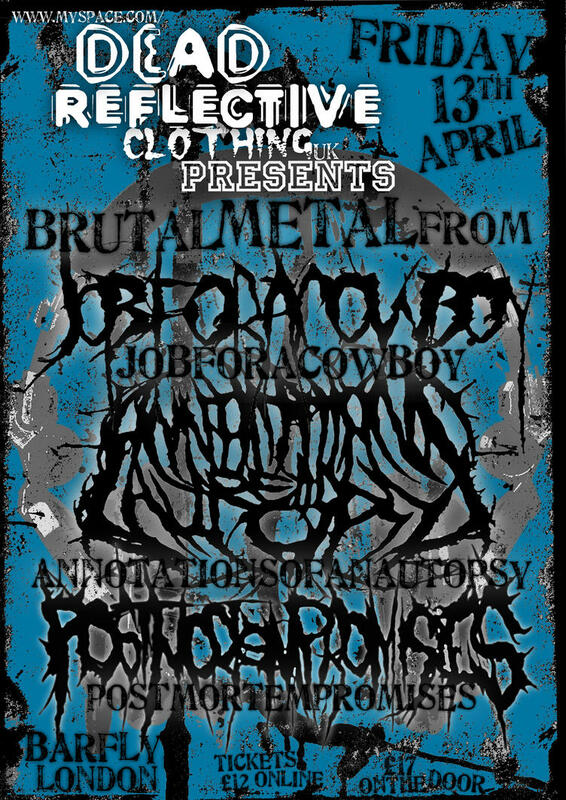 Just take a look at the poster below and notice how all of the band logos not only look the same, but are all equally unintelligible. I mean, come on. The names of the bands had to be printed below their silly tree-branch logos in order for people to be able to identify who was playing the show. Brand loyalty is what advertising runs on. If a company can snag you from your first visit (for whatever reason, whatever they sell), they'll have you forever. And every time you see their logo, you'll think about the pleasure they bestowed upon you and that feeling will become synonymous with the logo. The world's most classic example of this is those delicious little golden arches. That cute little yellow-and-red logo is the beacon of my late-night Saturday and the hero of my early morning road trip. I know their food is bad for me; I probably only eat it once or twice a month (see, not so bad! 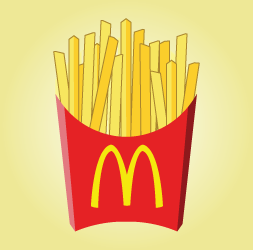 ), but I feel comforted by the brand and whenever I see it, I get the taste of those addictive fries in my mouth. That's brand loyalty. So, back to my rant about our five senses. If taste is strong enough to cause a logo to put the taste of fries in my mouth, why can't a band logo be strong enough to put the sound of my favourite band in my head? And, from this half-assed analysis, I conclude that a band logo is important for brand recognition and fan loyalty. That said, I find that album artwork is so varied these days that this logo doesn't really have to exist on every album cover, but I imagine it moreso on festival posters, merchandise, concert ticket stubs, that sort of thing. This is one area where, surprisingly or not, DJs have their bases covered.